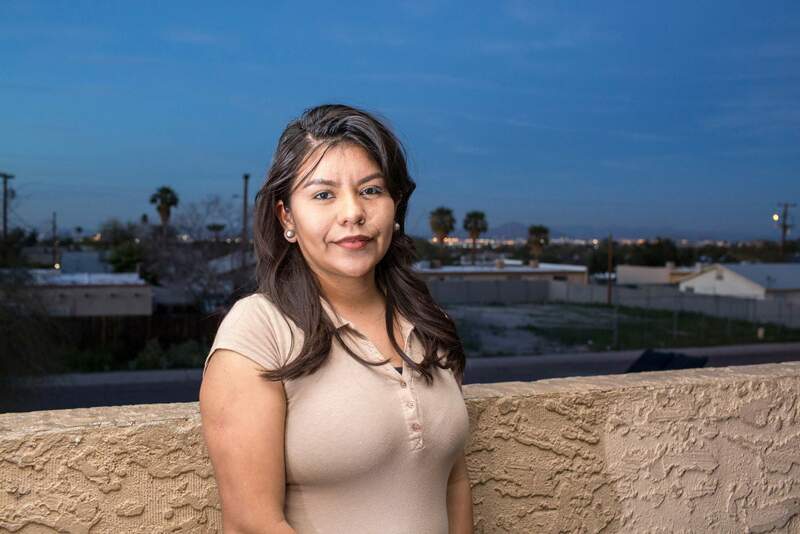 Yadira Hernandez of Phoenix says she will continue to search for a home to buy even though she knows she could be deported if President Donald Trump’s immigration policies take effect. Juan Rodriquez, 24, was brought to America when he was 7, and is working full time while attending college in America. In San Francisco, an Indian software engineer on a work permit canceled plans to bid on a $900,000 home. In Washington, a Brazilian nonprofit executive passed on a fixer-upper near her office. 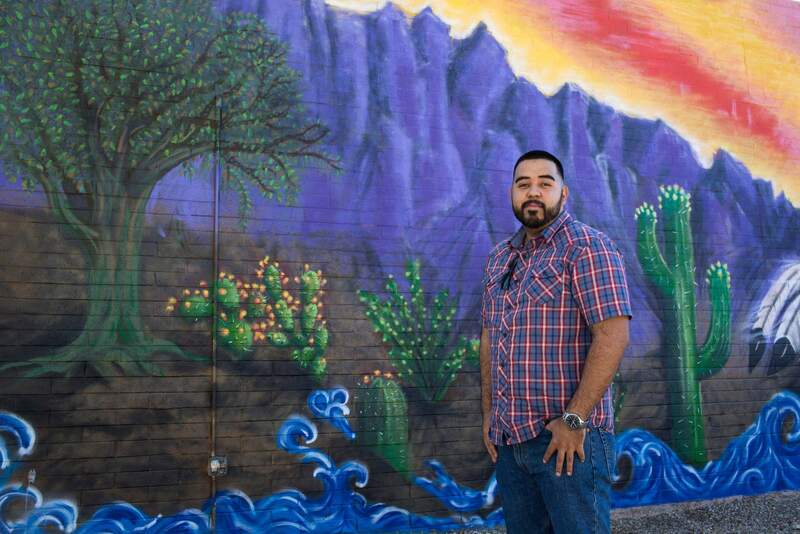 And, in Mesa, Arizona, a 24-year-old son of undocumented Mexican immigrants won the trust of a bank – a green light for a mortgage – but now fears deportation. President Donald Trump’s immigration policies threaten to crack a foundation of the American economy: the residential real estate market. Legal and otherwise, immigrants, long a pillar of growth in home buying, are no longer feeling the warm welcome and optimism necessary for their biggest purchase. “I feel like with one stroke of Trump’s signature everything can be taken away, even all my hard work,” said Juan Rodriguez, the 24-year-old whose parents moved from Mexico when he was 7. He now works full time while earning his college degree. President Barack Obama had protected immigrants like Rodriquez, often called “dreamers,” or undocumented Americans who arrived as young children and are often fully integrated into American society. Last month, the Trump administration detailed plans for a sweeping crackdown on undocumented immigrants, saying the authorities would deport many more people without court hearings. Under Obama, the government focused on those convicted of violent crimes; Trump would lower the bar to include fraud and, in some cases, a belief the residents threatened public safety. Even workers with green cards and work visas under the H1-B program for skilled foreign workers are worried about possible restrictions under Trump. The housing markets most at risk include Miami, Silicon Valley, Los Angeles, San Francisco and New York, which have the biggest concentrations of foreign-born buyers. While the Trump administration indicated it would exempt dreamers, stepped-up immigration raids and a proposed travel ban on seven majority-Muslim countries – blocked in court – are creating panic in many who believed that their American dream was within sight. The immigrant housing market is often under-appreciated, in part, because undocumented workers and the companies that cater to them sometimes like to fly below the radar. Some smaller firms will make loans to the undocumented, with higher interest rates. A few larger lenders such as Winston-Salem, North Carolina-based BB&T Corp. market to dreamers, who can qualify for conventional Fannie Mae, Freddie Mac and Federal Housing Administration mortgages. A third of the 11 million unauthorized immigrants in the U.S. live in a home that they or a family member or friend own, according to an analysis by the Migration Policy Institute, a Washington-based think tank. Now, some lenders are starting to get nervous. Las Vegas-based Alterra Home Loans focuses on mortgages for immigrants, including dreamers and the undocumented. At the early stages of government loans, lenders can be on the hook in defaults. “We’re proceeding cautiously,” said Jason Madiedo, the company’s president and chief executive officer. If financing dries up and borrowers lose faith, it will mark a major reversal in the market. New arrivals are expected to account for more than a third of the growth of homeowners this decade, according to University of Southern California demographer Dowell Myers. While the U.S. homeownership rate in 2015 was the same as it was in 1994 – 66 percent – it has risen 2.4 percentage points for the foreign-born population, to more than half, according to real estate website Trulia. Fueling housing demand, immigrants replace baby boomers retiring from the labor force, according to University of Washington economist Jacob Vigdor. By his reckoning, the country’s 40 million immigrants add $3.7 trillion to total housing wealth. In Houston’s home county, the newcomers boosted the value of the typical home by $25,000 during the decade ended in 2010. Between 2015 and 2065, according to a Pew Research projection, future immigrants and their descendants will account for 88 percent of the U.S. population increase, or 103 million people. Other foreign buyers could step in. Trump’s friendly stance toward Russian President Vladimir Putin is heartening buyers from that country. They had held back after his 2014 Crimean takeover prompted Obama to impose sanctions, according to Edward Mermelstein, a New York-based real estate lawyer who represents wealthy foreigners. His Russian clients negotiating home purchases in New York and Miami more than doubled since Trump took office. But, among groups targeted by Trump, conversations around kitchen tables are now less about payments and more about politics. Even immigrants with high-paying jobs and valid visas are getting skittish. Two of them asked not to be identified because of fears of recrimination. The 32-year-old Silicon Valley software engineer from India gave up on buying because Trump had so rattled him and his wife. He moved to the U.S. seven years ago and decided to become a homeowner after marrying a biomedical engineer from his home country a few months ago. The newlyweds have H1-B visas, a program that technology and other companies rely on to hire 85,000 people each year. Others are even factoring deportation into their home buying plans. Yadira Hernandez, a 24-year-old dreamer who was 5 when she arrived in Phoenix with her mother, isn’t giving up her search. While scouting property in the $175,000 range, she’s also planning for the worst. If she gets deported, she’ll rely on a family member to take over mortgage payments.